BACK ON THE MARKET!! This enchanting fairy tale cottage has tons in store and potential for even greater growth in the Historical Town District of Highland Springs. A true gardeners delight! The charming 2 bedroom bungalow has many upgrades to offer: Fresh paint throughout, remodeled kitchen (2016), updated bathroom with granite counter tops (2016), updated windows (2008), new roof (2013), paved driveway that was recently resealed (October 2017), new front deck (2014), new water main (2016), hardwood floors (refinished in 2010), updated lighting, original hardwood artisan style exterior doors, original antique hardware & doors, bamboo levolor wooden shades, 9 foot ceilings, dining room/eat-in kitchen, screened in porch, washer/dryer hookup, and an unfinished upstairs (14x33) bonus space with the potential to be a third bedroom. 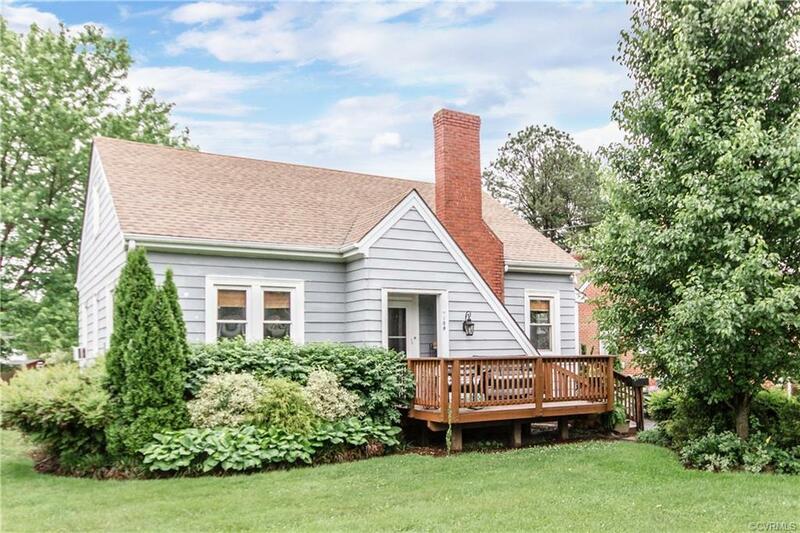 Not only is this home adorable, but it is also in a very convenient location - close to new shopping, 295, 64, and the Richmond International Airport. Seller is offering a 1 year American Home Shield home warranty. Opportunity is knocking, are you going to answer?